2.Where low running forces and higher restoring forces are vital to casing running operations. 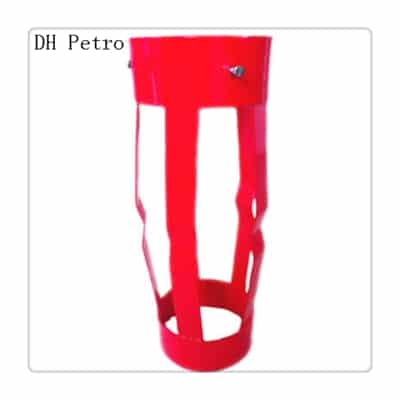 1.Slip On Welded Semi-Rigid Centralizers share many of the same design and operational features as Hinged Welded Centralizers. 2.They can be directly installed onto pipe and are provided with set screw style Stop Collars to increase the holding force. 3.The Collars are innovatively designed with roll formed peripheral ridges that provide extra rigidity. 4.The Centralizers are available in a variety of Bows configured from a choice of four standard Bow heights. 5.All Centralizers undergo a special iron phosphate coating process to prevent corrosion and are then coated with a special polyester powder. 6.This product is shipped in assembled condition only. 7.It is available in all sizes ranging from 4 1/2” to 20. 8.Any special sizes or combination can be made available upon request.